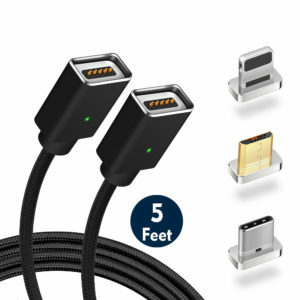 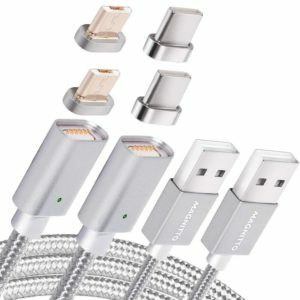 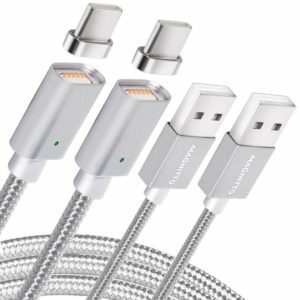 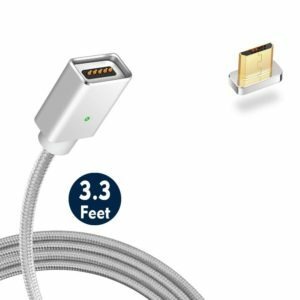 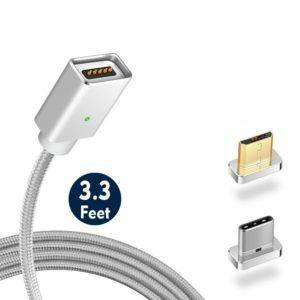 ✔ SMART CHARGING TECHNOLOGY – Use this universal cable to charge your iPhone 5 5s 5c se 6 6s 7 Plus, iPad Air Mini Pro, iPod, new MacBook, ChromeBook Pixel or other USB C devices via any phone charger, portable charger or multi-port USB charger, no need to change another charger adapter for your devices. 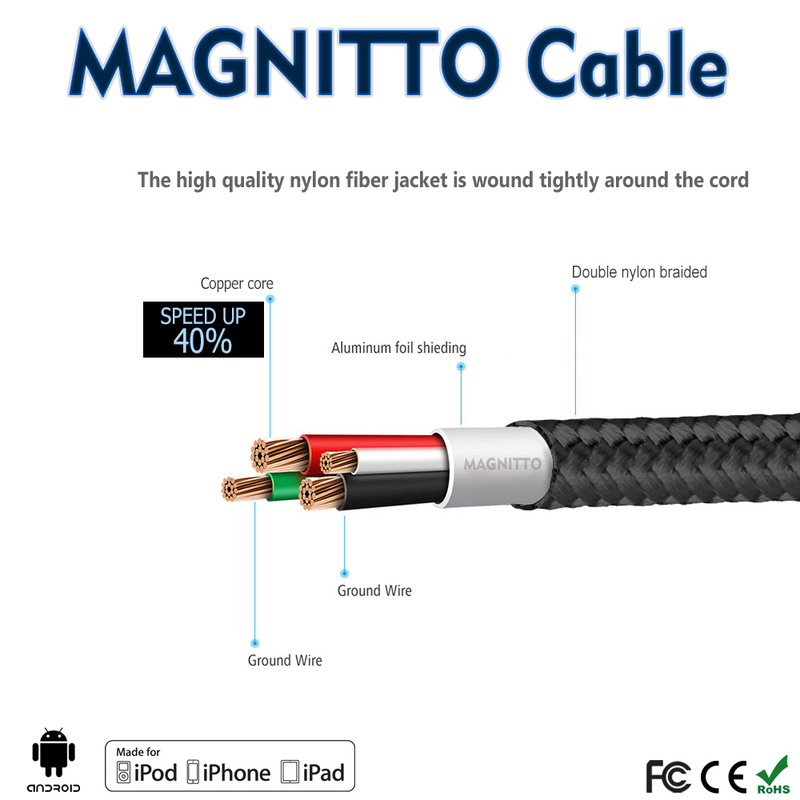 They are specially designed with Tinned Copper Conductor + Aluminium Mylar + Heavy duty braid – A superior cable in all aspects. 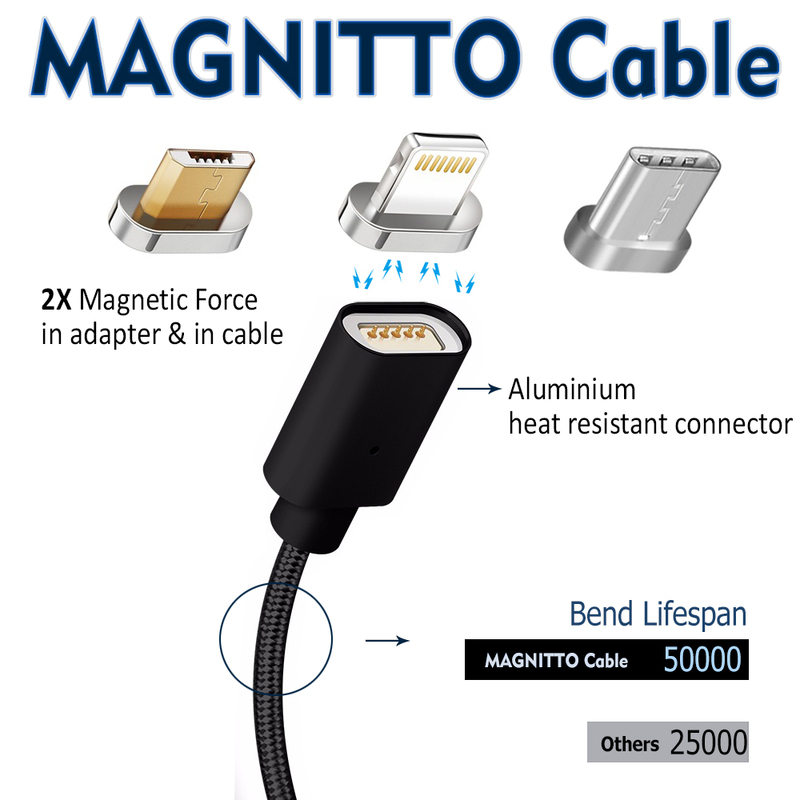 Wire Resistance is less than 0.11Ω/m! 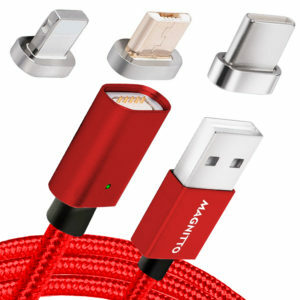 High-speed, lightweight, low resistance – Fully customized in every way we are 100% confident you will love this new design! 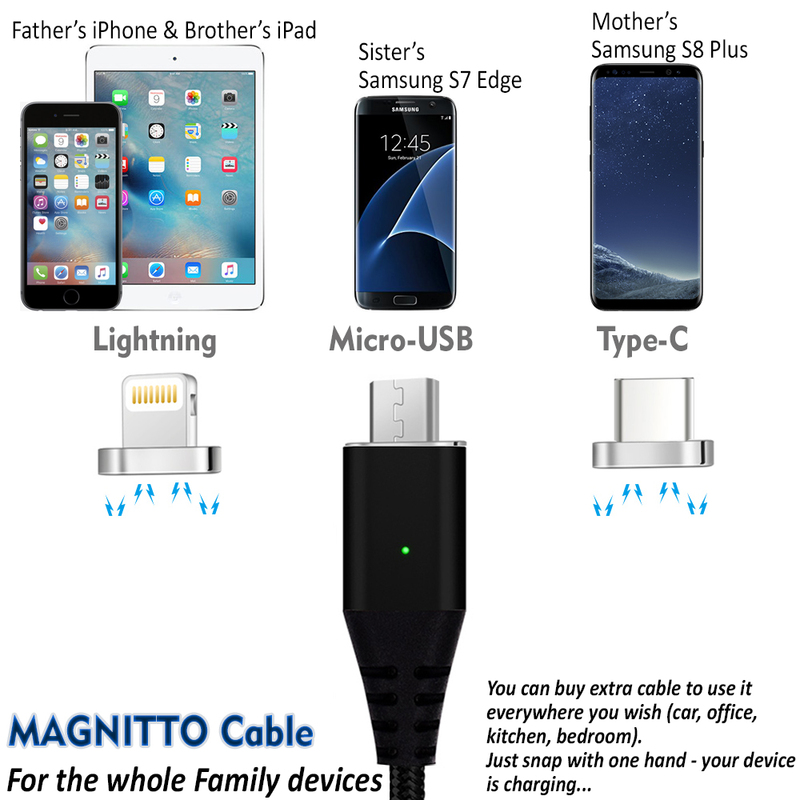 the USB Type C Specification version 1.1, 56kilohm, standard identification, which ensures a safe charging at 2.4A Maximum and the speed of data sync up to 480 Mbps. 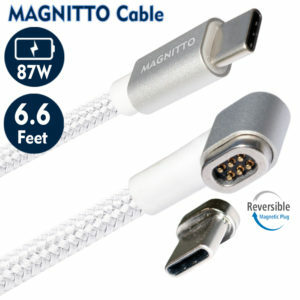 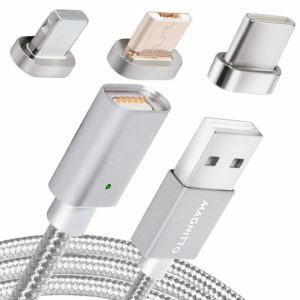 The cable has a durable Nylon Braided design with aluminum alloy connector which makes it easily survive everyday usage and gives it a more stylish and elegant appearance that goes great with your expensive gadgets. 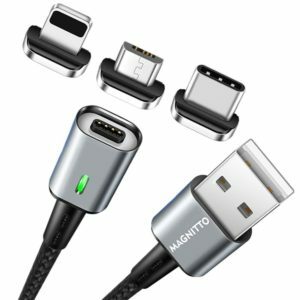 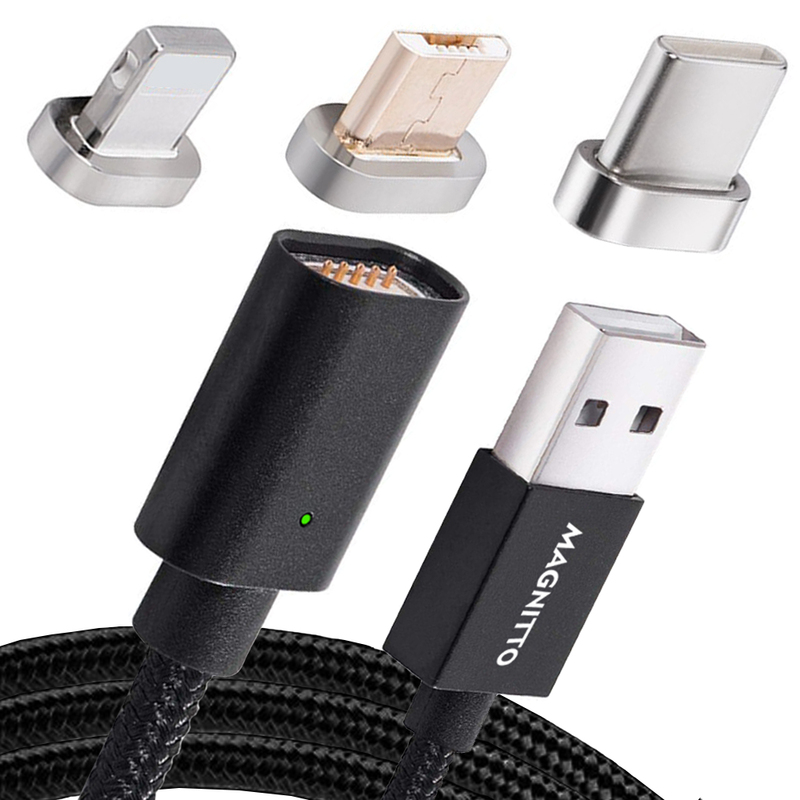 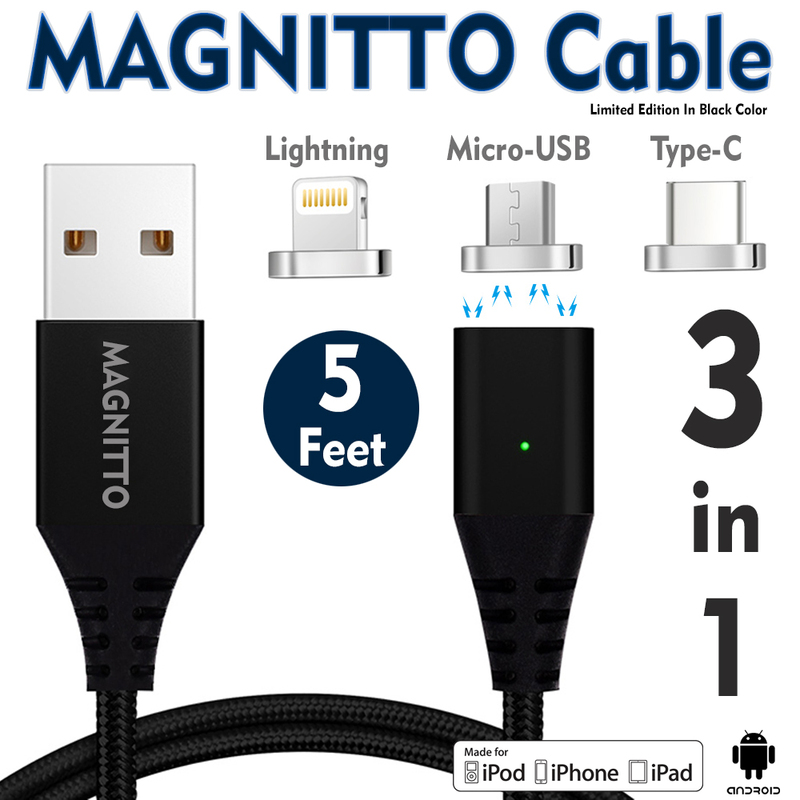 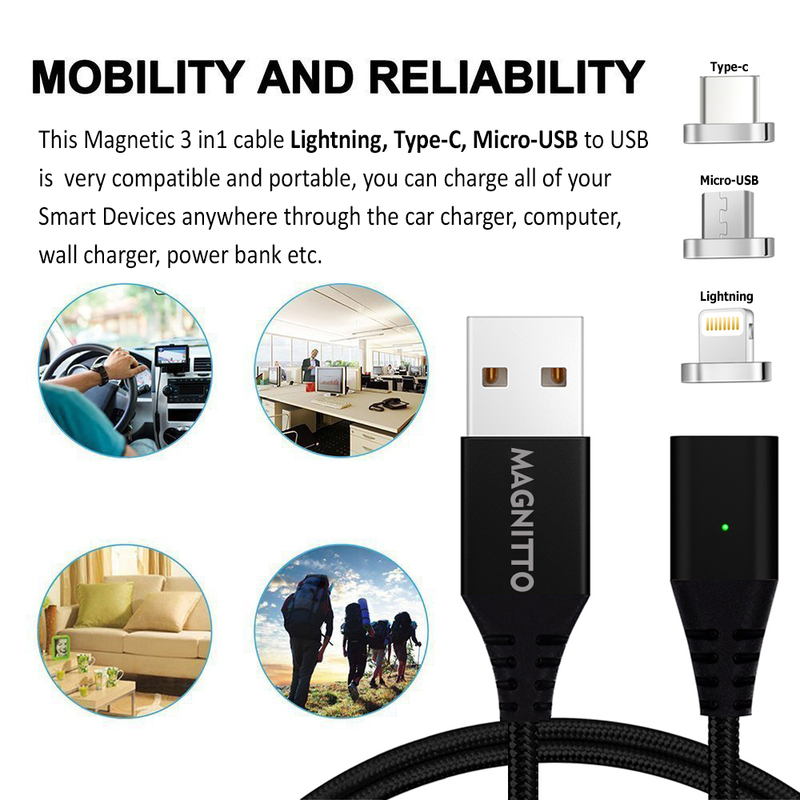 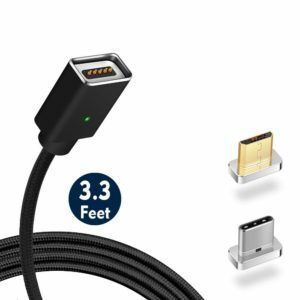 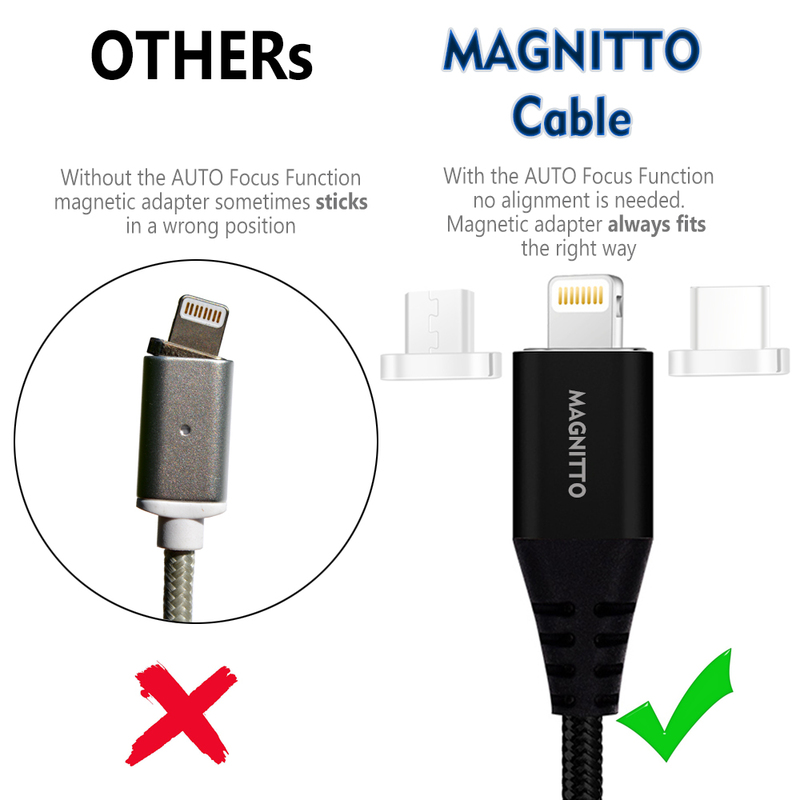 MAGNITTO GEN3 Magnetic 3 in 1 Multi Charging Cable Adapter 3ft.